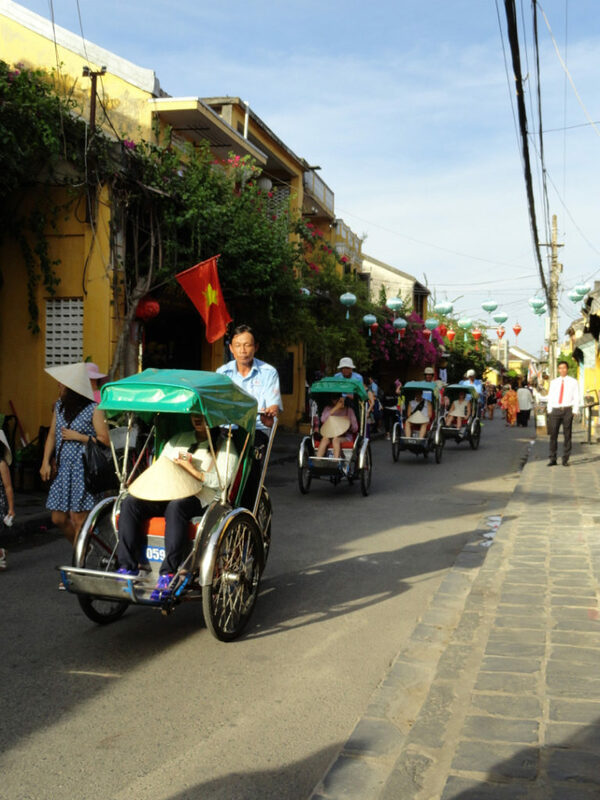 Today, we left Hội An, the ancient city of trade. 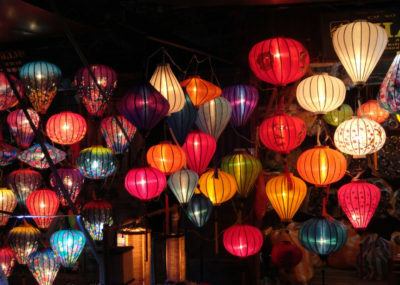 If you ever visit Vietnam, you owe it to yourself to see this magical place. A jewel in the heart of the country. 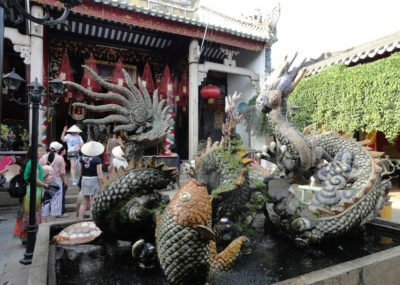 It starts with the Old City — a labyrinth of ancient yellow, blue, and orange buildings — adored and painstakingly maintained by the locals. Giant wooden clan-houses of old-money tradesmen are a unique blend of Chinese, Japanese, and Vietnamese styles and colours. They’ve held strong for several generations (some dating back to the 16th century) with tours given by the families that still live inside them. Leave your motorbike at home — only very small amounts of local traffic are permitted on the Old City streets, and absolutely none between 6-10pm. This mercifully keeps the honking hoards away and gives a special charm to the area. 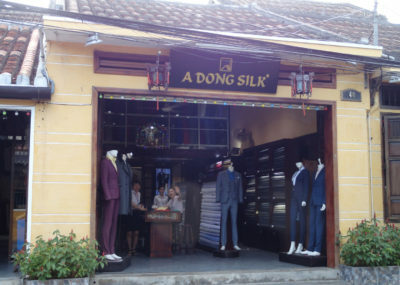 Of course, you’ll notice the tailors. 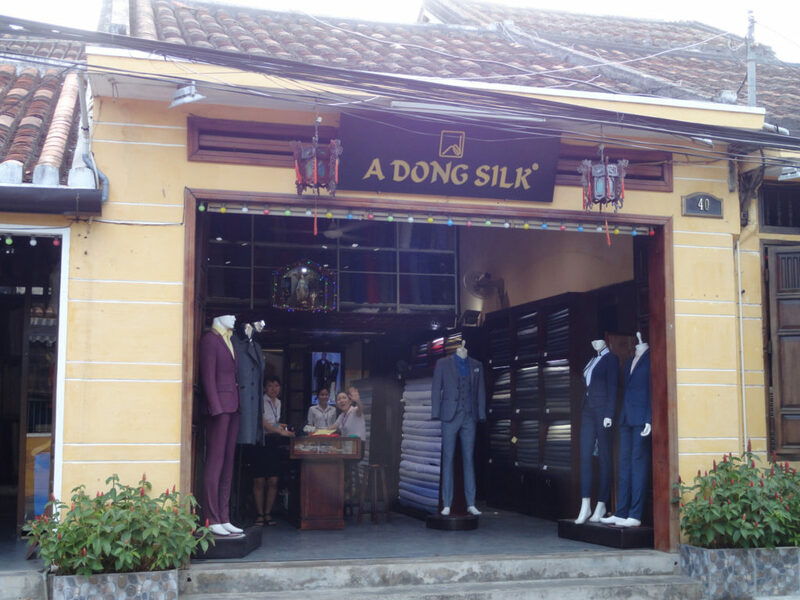 Over six hundred tailors. 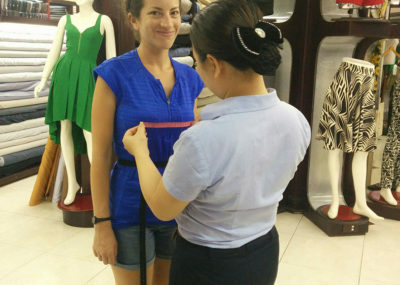 Made-to-order suits, shoes, dresses, jackets, bags, belts — just about anything you’d want to customize — all done in a day or less. Real wool, cashmere, and leather, at a tenth of the price you’d find back home. The lady and I each grabbed an outfit. 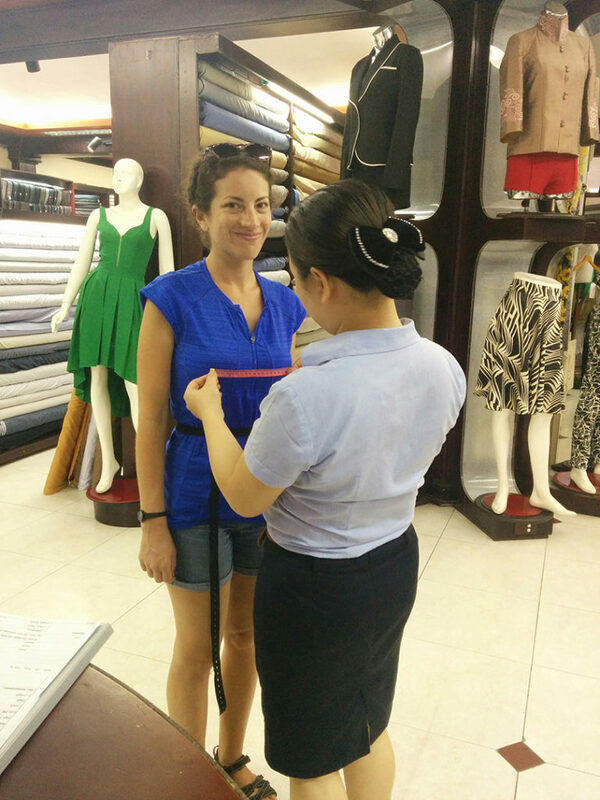 After the third fitting in two days, they’re undeniably the best pieces of clothing we’ve ever worn. We’re gonna look fly this wedding season. 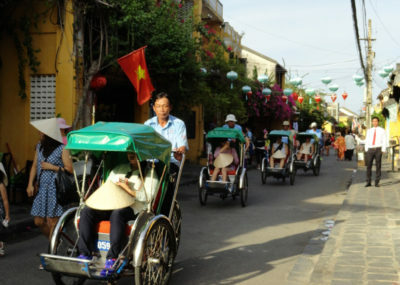 But the allure of Hội An doesn’t stop at the Old City. 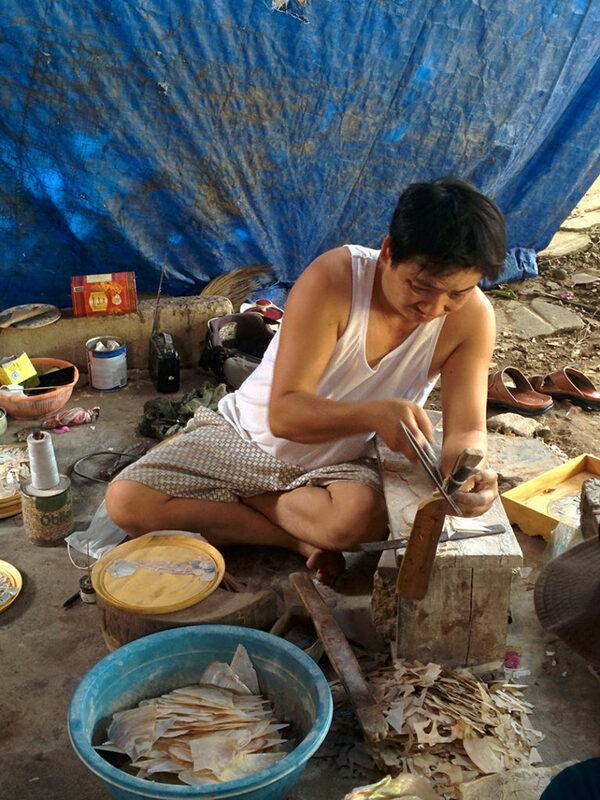 Venture to the surrounding islands — a five minute boat ride — and witness craftsmen and women still practicing ancient trades. A team of men hammering, bending, and chiseling custom fishing boats from massive planks of wood. 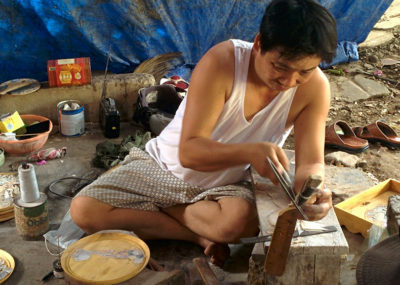 An artist and his wife carving designs from mother-of-pearl. An old man weaving basket-boats from bamboo. A mother and grandmother making sleeping mats from dyed straw. It’s a peek into traditional Vietnam — before the fumes of motorbikes took over. Unfortunately for Vietnamese culture, these jobs are all held by elders — the next generation instead choosing better paying work in the city. Parents are happy their kids have a brighter future. But many of these ancient traditions will soon be gone. 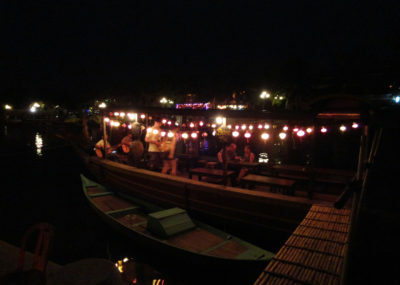 And that’s what makes Hội An special. It’s a step back into the way things were. Sure, there are countryside farms that still herd buffalo like they’ve done for hundreds of years. But Hội An isn’t just fields and rice patties. 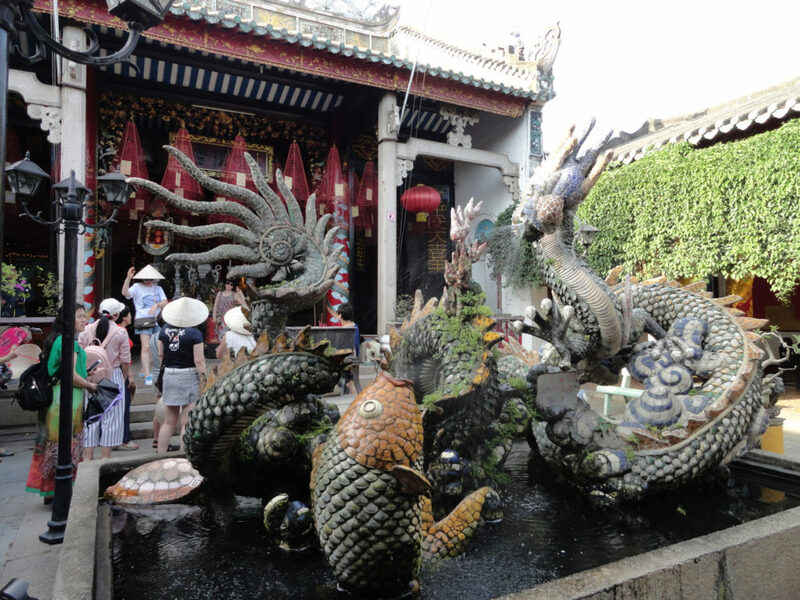 It’s a city — of textiles, craftsmen, and trade — that’s been embalmed in its traditional state. Though you’ll see foreigners walking the streets, there are equally many local tourists, catching a glimpse of their country as it once was. A city of gold.